Now that winter is right around the corner, it’s time to start planning for some serious hygge (a Danish word that’s pronounced hue-guh and means a warm and cozy feeling). And is there anything more warming than a steaming mug of fresh hot chocolate? 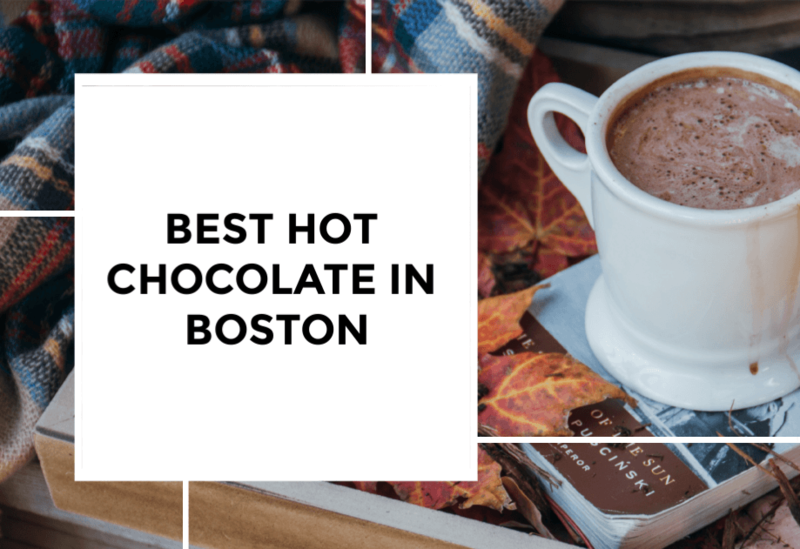 We’re lucky to have a number of excellent places to find hot chocolate in Boston to keep us warm all winter long. Here’s a quick list of the places I love for hot chocolate in Boston. 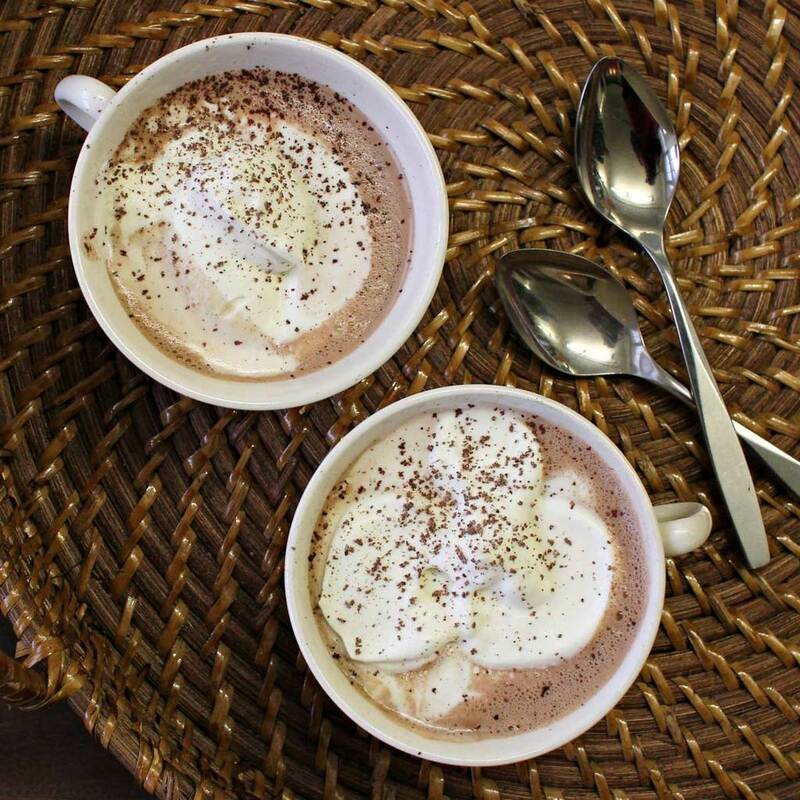 Let me know where else you like to sample hot chocolate in Boston. 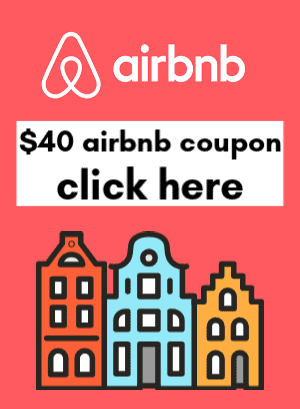 I’d love to find new places to check out! L.A. Burdick is going to be at the top of many lists for hot chocolate in Boston. Their shaved dark, milk, and white chocolate blends are pure bliss on a cold winter day. 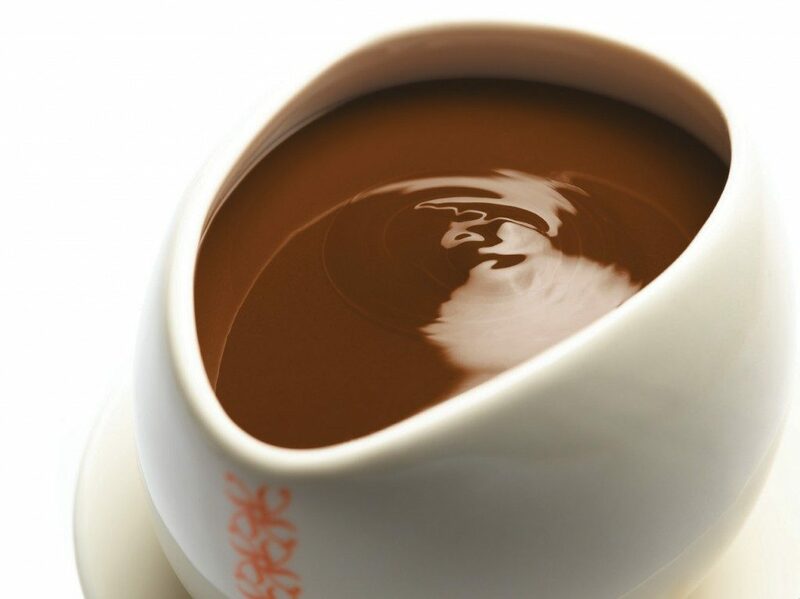 The chocolate is melted with warm milk, and you can also add espresso for an added kick of energy. While you’re there, check out their fresh desserts and pastries, too. You can also take home a bag of their hot chocolate to recreate the drink at home! If you’re a chocoholic, nowhere is better than Max Brenner. With a variety of hot chocolates served up in their signature cozy “Hug Mug,” you’ll be sure to find your chocolatey match made in heaven. 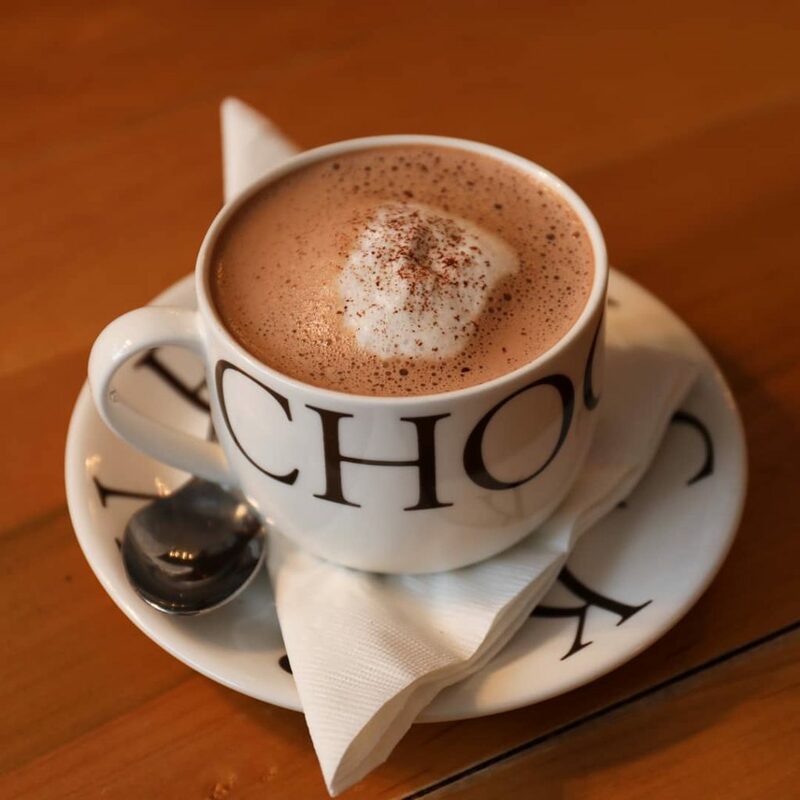 Their rich flavor options include a signature whipped hot chocolate, a sweet version topped with marshmallows, a spicy Mexican hot chocolate, or salted caramel topped with shipped cream. Take your pick of these delicious drinks–you can’t go wrong with anything there! The home of Taza Chocolate is in Somerville, luckily for us locals and visitors to Boston. Taza definitely deserves a place on the best hot chocolate in Boston list for the different varieties of their delicious stone ground chocolate. You can take a tour of the factory where you’ll learn all about how their chocolate discs are made in the traditional Mexican style. Then you can sample all of the different seasonal flavors and take home some chocolate discs or replicate their hot chocolate at home with their hot chocolate mix. Or stop by their shop at the Boston Public Market for a hot chocolate on the go! Price: Tours are $8 and includes samples. Shop at the factory store after the tour. 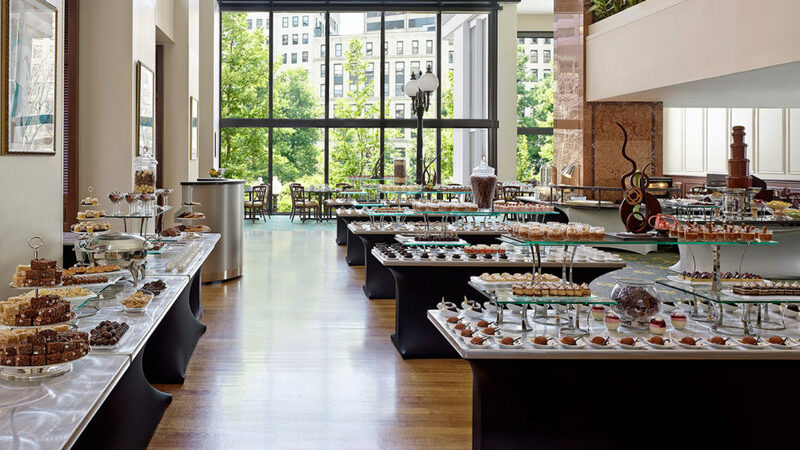 If just one cup of hot chocolate can’t cure your sweet tooth, the Langham Hotel’s Cafe Fleuri offers a whole chocolate buffet on Saturday mornings! With more than 100 different treats to sample, try their donuts, warm chocolate chip cookies, their ice cream cold stone, or the sampler station for kids. The buffet also includes live music. If you’re looking for a spicier option, check out Tezemcal Cantina in the Seaport for hot chocolate in Boston. They have a frothy Mexican hot chocolate on the menu along with Mexican brownies topped with ice cream and churros with dipping chocolate. Make a night of it and enjoy their authentic Mexican food before indulging in dessert!